It is not very often a college coach — or any coach for that matter — is asked to write something on their own. We see many articles in the daily sports section about coaches and their athletic programs. They always come from the minds and talents of the individual writer. When asked to take this opportunity to write something about coaching, I couldn’t pass it up. As the new head coach at Columbia College for the women’s basketball program, I would like to take this opportunity to thank you for letting me entertain you with my thoughts for the next couple of minutes. Moving to Columbia three years ago has been a decision I have enjoyed immensely. Columbia is a city full of passion and excitement. Whether you are cheering on your Tigers on Saturday afternoons or checking in on the Cougars (I hope so!) just north of Broadway. I have come to realize that Columbia is a hotbed of entertainment, whether that is on the fields, or in the arenas, or maybe because every country music singer seems to stop by for a visit! This really is an exciting place to live and an even better place to raise a family. Being from Minnesota originally, I really appreciate how quickly I was accepted into the community. I will tell you though, the weather is a lot different here than where I grew up. I am sure you will see me walking around in January with shorts on (remember my hometown is about 50 degrees colder!). A little about me, I am entering my seventh year of coaching basketball. All seven years have been spent coaching at diverse levels — from the really young (4th grade), to three seasons at the high school level — to now entering my fourth year at Columbia College. Players are genuinely excited to play for a coach who is excited to coach them and care about them as an individual. I am excited for this new opportunity at Columbia College. We are hitting the ground running and looking forward to having a lot of fun! 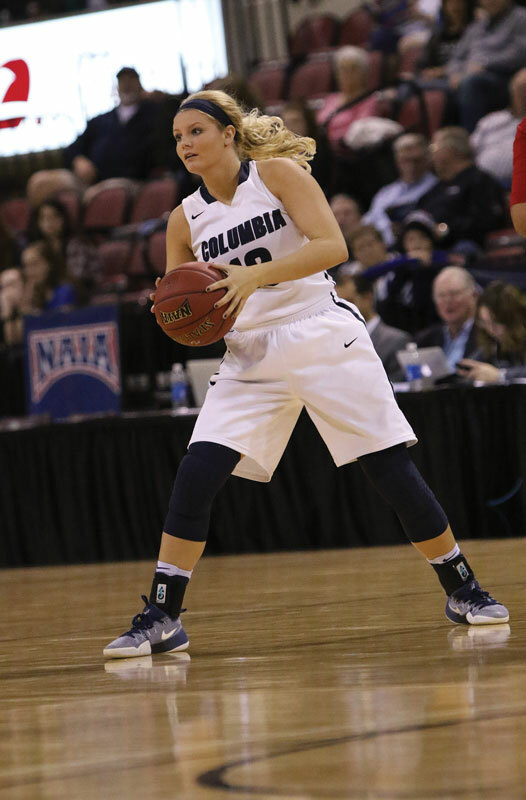 Looking at next season for the Cougars women’s basketball team, we will have a lot of excitement up at the Southwell Complex on the Columbia College campus. We have nine returners who all have started at least one game in their career. I have two individuals who are returning for their junior season, whose names you will find on an All-American list (Morgan Brandt and Ashlee Marlatt). We have a former Christian Fellowship High School star in Sarah Walters who can really score the ball. Our team includes individuals who have made similar moves as their head coach, joining us from Chicago (Grey Hayes), Northern Iowa (Madison McGregor) and Cape Girardeau (Raegan Wieser). We have recruited some very exciting players from the St. Louis area in Hannah Sutton, Ivana Easley, Ukari McKinney and Geena Stephens. We are also blessed to have players from the Columbia area in Alexis Uffmann, Mai Nienhueser and Abi Feeney. We definitely can’t forget Jordan Alford, who tested life at Mizzou before joining the team. They have all come together to build something special here at Columbia College. This group of young ladies is a talented bunch that is extremely fun to watch, but for everything they bring on the court, they are consistently proving how much they can accomplish off the court, as well. I am extremely proud of them for their accomplishments in the classroom and in the community. We would love to have you join us for a game at Columbia College this upcoming season! Don’t be a stranger, stop me next time you see me in the grocery store, I would love to fill you in on how the team is doing!